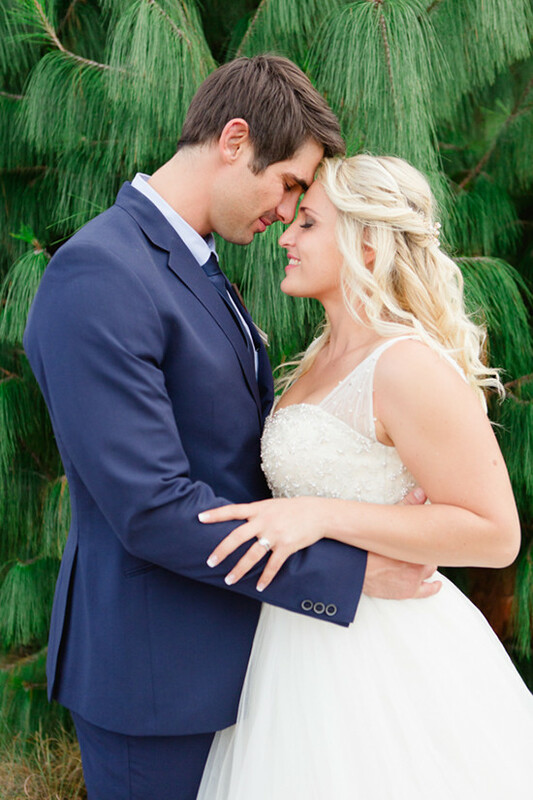 Annelize and Gerhard's amazing outdoor wedding took place in picturesque South Africa. 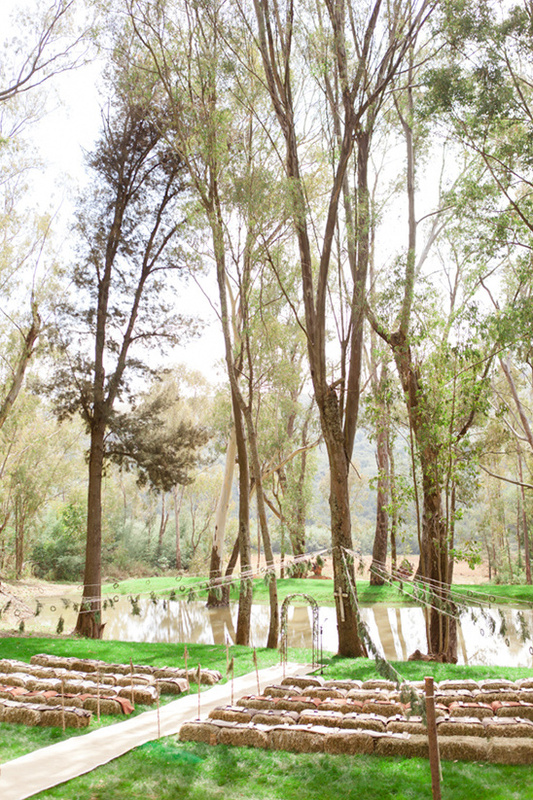 From the hay bale seating area, to the green garlands throughout, it's a beautiful way to incorporate nature into your nuptials. There is so much more to see! 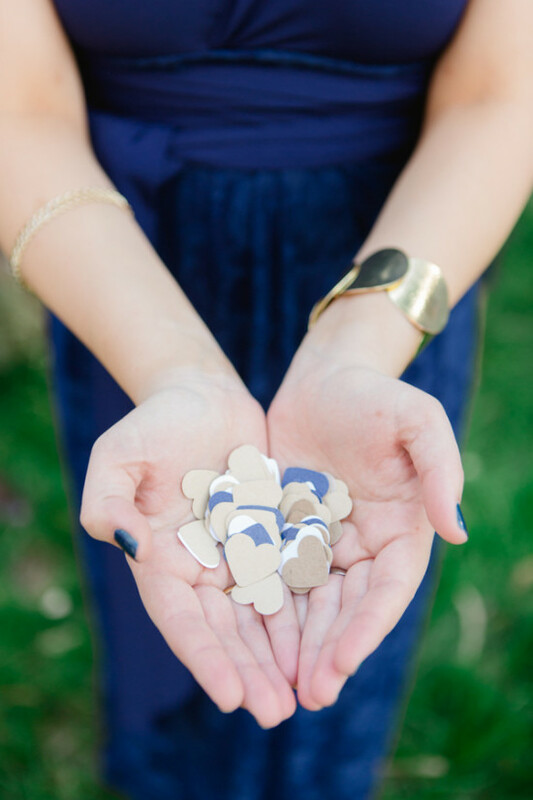 Don't miss all the details on how to have an outdoor wedding. 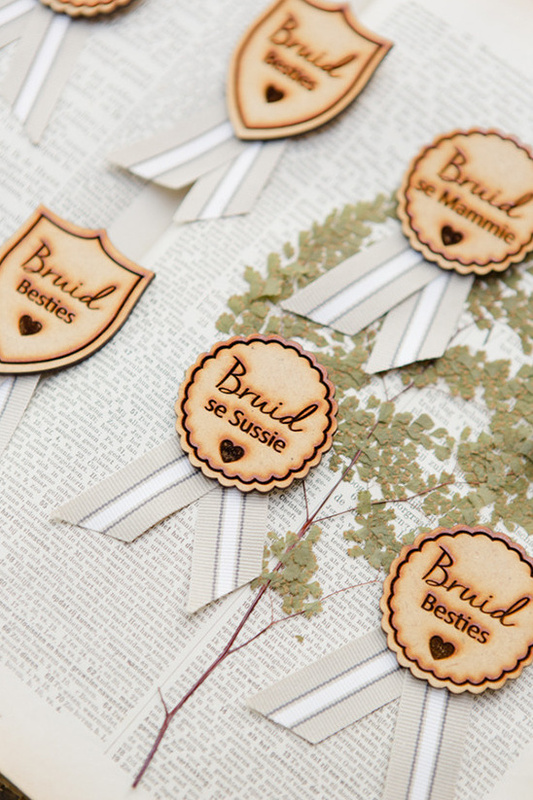 View the full gallery here. 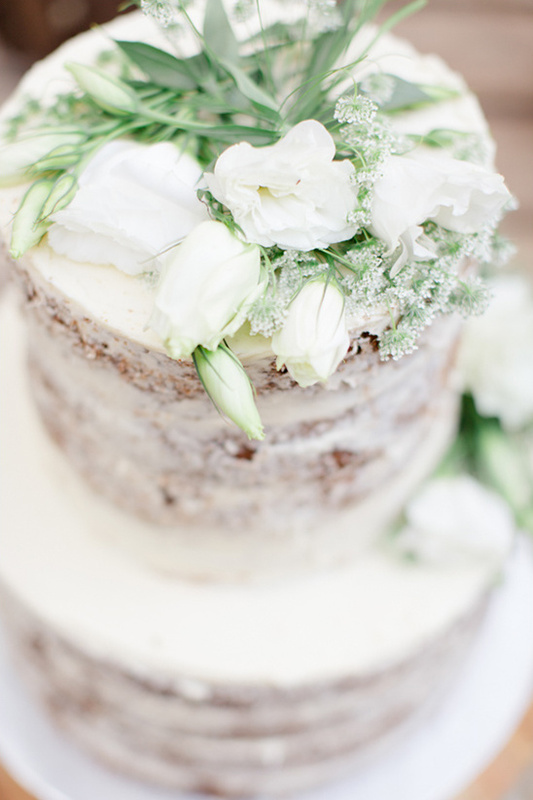 Beautifully photographed by Carolien and Ben Photography. 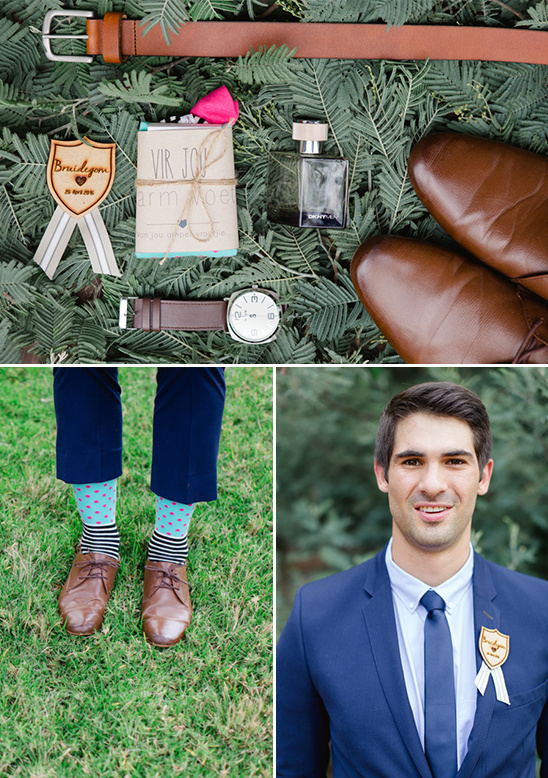 From Carolien and Ben Photography: The groom looked dapper in a navy suit and crisp white shirt and those funky socks can't be missed! Annelize's dress is fit for a princess with its embellished bodice and layers of tulle. 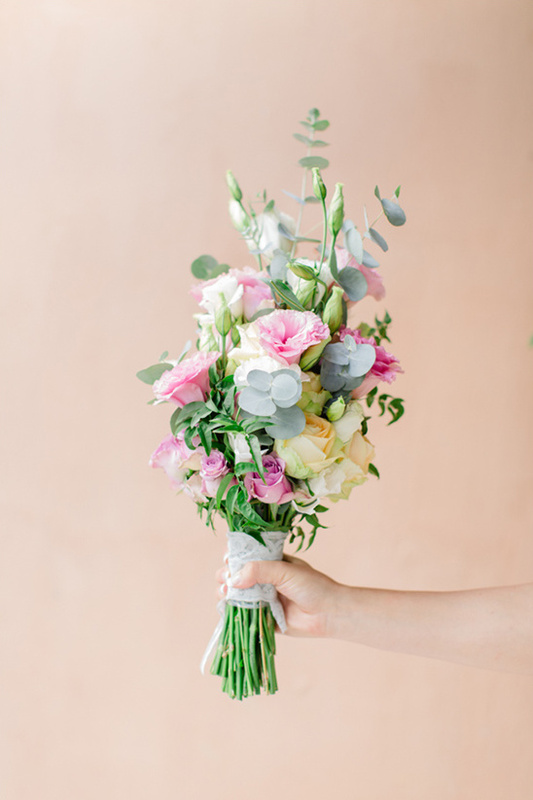 The romantic, soft colours of her bouquet added the perfect final touch. 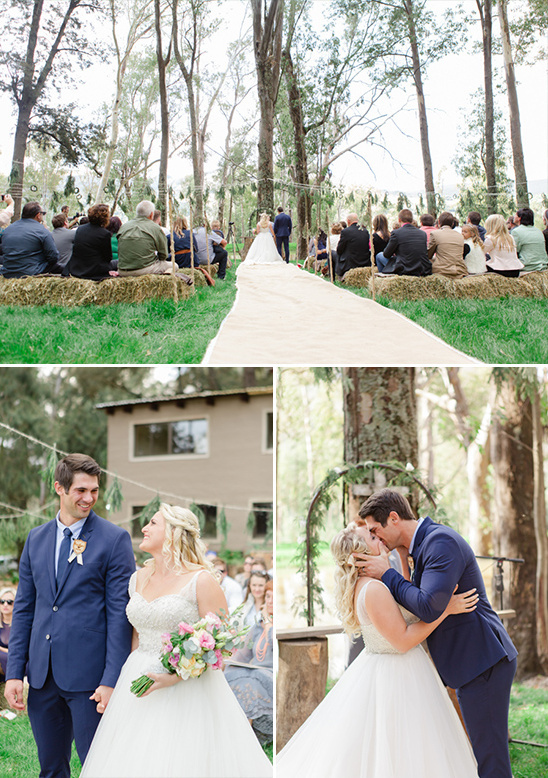 The ceremony took place under the trees and the guests sat on bales of hay and threads of yarn with greenery spanned above them. 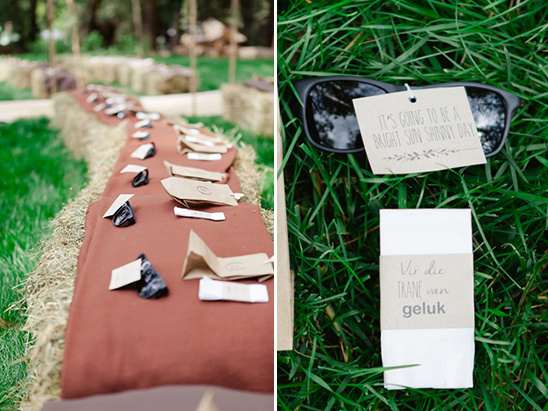 Attention to detail makes it all the more special as the guests each received a wrapped handkerchief, pouch of confetti and a pair of quirky sunglasses. 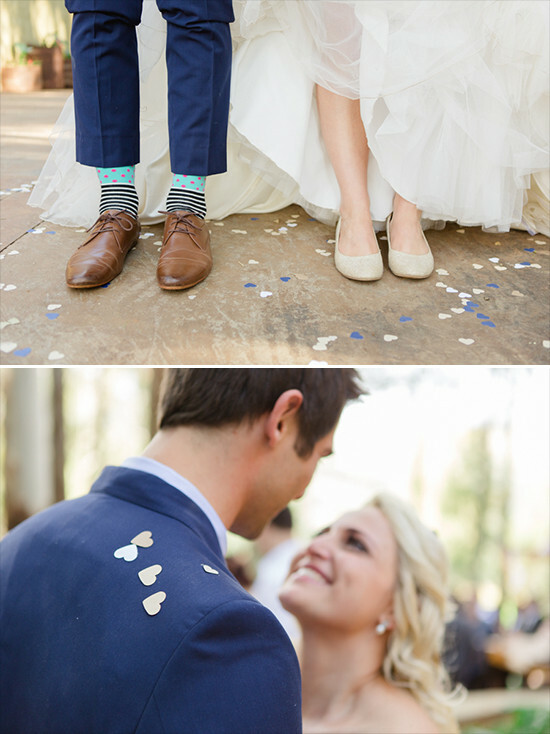 Steal Worthy Idea: Have guests toss heart shaped confetti after the wedding ceremony. 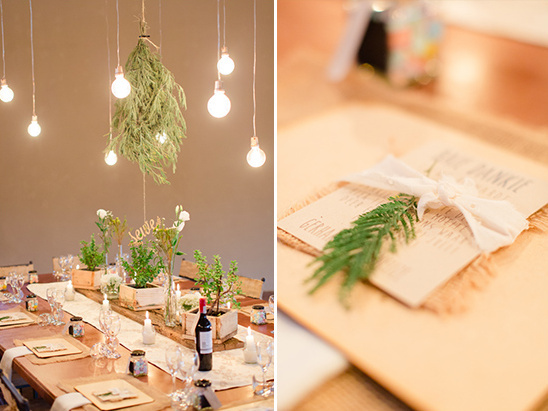 The table decor is crisp and woodsy with lots of greenery, succulents and wooden details. 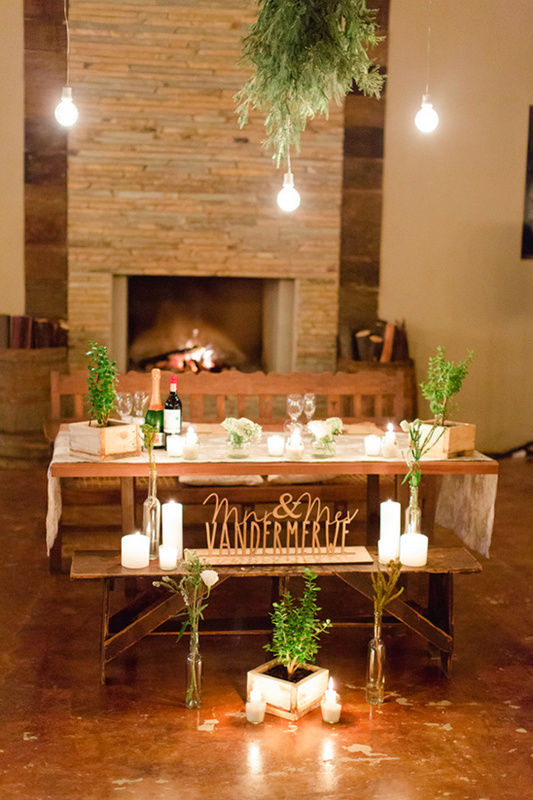 The dashes of white flowers and candles added just the right amount of difference in colour. 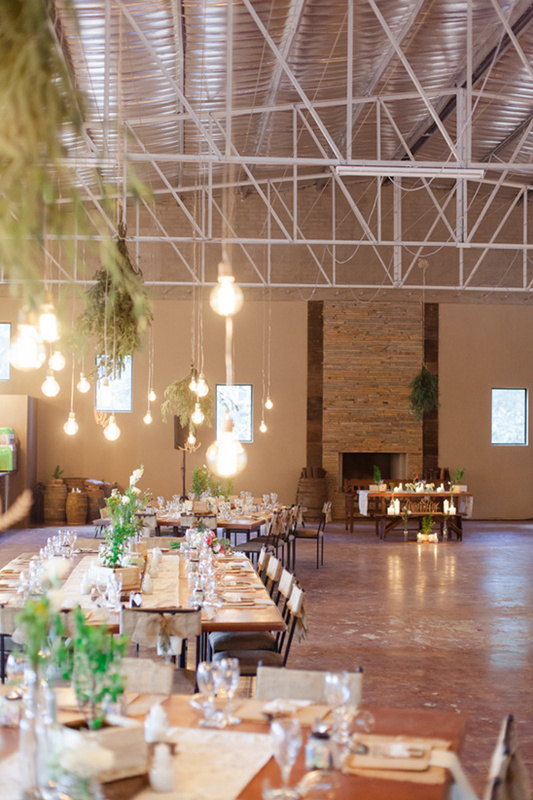 The lightbulbs hanging above the tables created the perfect ambiance and soft light - which we relished!